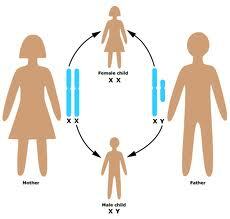 A gene is a unit of heredity in a living organism. Most living organisms are made up of cells that contain a substance called DNA. It is wrapped together to form structures called chromosomes. Most cells in the human body have 23 pairs of chromosomes, making a total of 46. We received half of our chromosomes from our mother's egg and the other half from our father's sperm cell. A male child receives an X chromosome from his mother and a Y chromosome from his father; females get an X chromosome from each parent. Where do genes come in? 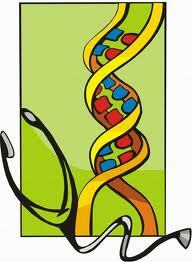 Genes are the segments of DNA which carried on the chromosomes and helps to determine specific human characteristics. For example, nose shape, height or hair color. Because each parent gives you one chromosome in each pair, you have two of every gene. Researchers have identified around 4,000 diseases caused by genetic variants. Even though a person shows the genetic variations no need for him to get the disease actually. Because we inherit a gene from both parent, having one disease gene usually does not cause any problems because the normal gene dominates the diseased one and order the body to make the normal protein it needs. If a person carries the dominant gene for a disease, he will then be the affected one there is a 50% chance of inheriting the diseased gene to his off springs and they may have the disease. 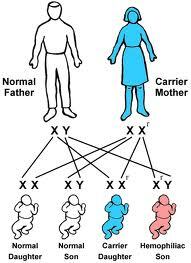 If recessive gene for a disease is present in any person, they are known as carriers. They won’t get affected with the disease but carry the infected gene to the next generations. So, the child has 25% chance of getting the disease gene from both parents and as a result the child may have the disease. Even though the human genome now fully decoded finding the affected genes are still a challenging task for the biologists and doctors. There are about thirty thousand genes held within the three billion or so nucleotides in each of our cells. So it is really a tough job for them to find out the gene which causes disease. Gene markers - characteristic segments of genes for known traits that lie close to the target gene and are inherited along with it. Genetic linkage maps – Linkage maps exploit a phenomenon called recombination or crossing over. Want to know more about “Genes & Diseases?” Click here to schedule live homework help from a certified tutor!